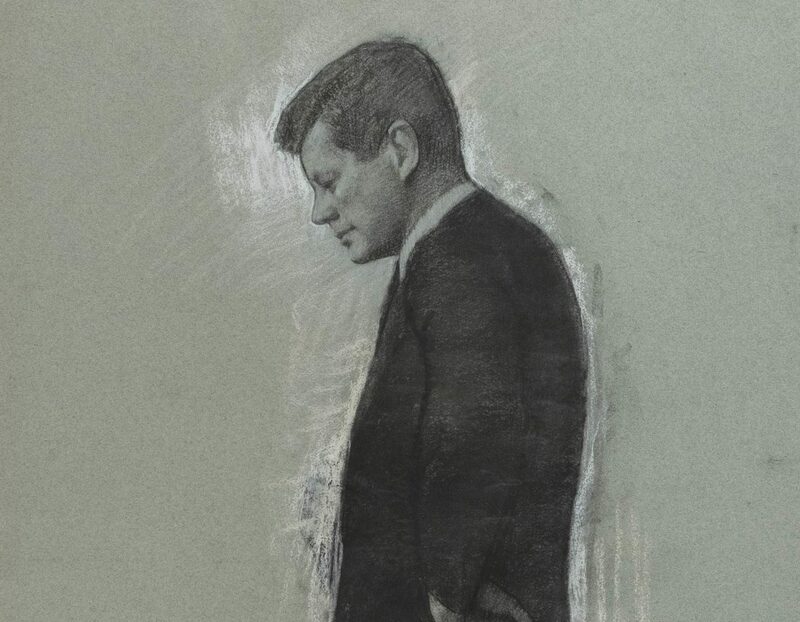 Early next month, a trove of treasures — from the pens he used to sign the laws that changed our nation to the drawings he scribbled on hotel notepads— will go up for auction, minutes away from the compound where President John F. Kennedy summered and sailed into the lore of our nation. On Friday, August 3, 23 lots of memorabilia owned by President Kennedy will be auctioned off by Eldred’s as part of its Americana and Paintings Auction at the firm’s East Dennis headquarters on Cape Cod, just 11 miles from the Kennedy Compound in Hyannis Port. Phone and absentee bidding for the live auction will begin at 10 a.m. Eastern time. Online bidding will take place at Eldred’s Live. Among the most notable items on the block will be furniture, including two rocking chairs JFK used at the White House and New York’s Carlyle Hotel, personal mementos like his mid-century personal stereo and records, and the aforementioned collection of fountain pens Kennedy used to sign the Racial Discrimination Act of 1962 and the Nuclear Test Ban Treaty in October 1963, a month before his assassination. 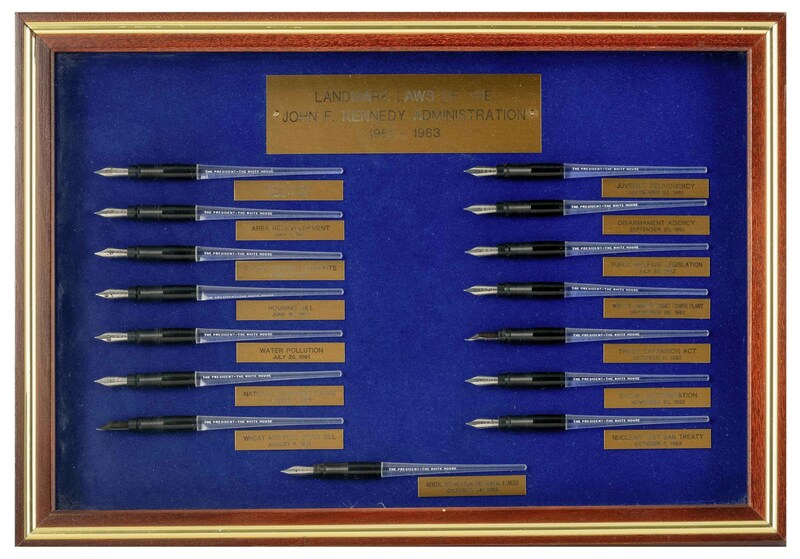 The pens, designed specially to Kennedy’s specifications and marked “The President – The White House”, have a pre-sale estimated value of between $60,000 and $90,000, and are accompanied by a letter of authentication from Dave Powers, the first curator of the John F. Kennedy Library. 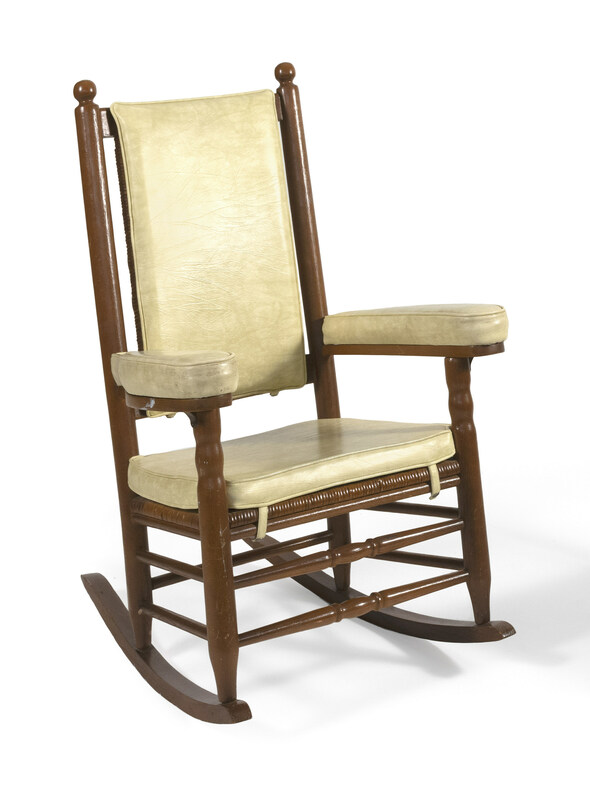 The rocking chairs, which JFK sat in to relieve his chronic back pain, are among a dozen chairs made for the president by Larry Arata, who served as the White House upholsterer from 1961 to 1968. 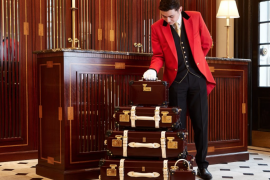 Both the White House and the Carlyle Hotel rockers have pre-sale estimates of $50,000 to $70,000. The president’s wife, Jacqueline Bouvier Kennedy, coined the phrase “Camelot” to describe the Kennedy mystique and her presence will be felt in the auction as well. Items such as an annotated invitation list to their wedding at St. Mary’s Church in Newport, Rhode Island and a piece of the altar railing from the church, are included in the auction. Following the president’s assassination, Jackie Kennedy was presented with a posthumous portrait of her late husband painted by New York artist Aaron Abraham Shikler. The auction will include one of five studies made by Shikler for the painting, which is valued at $80,000 to $120,000. 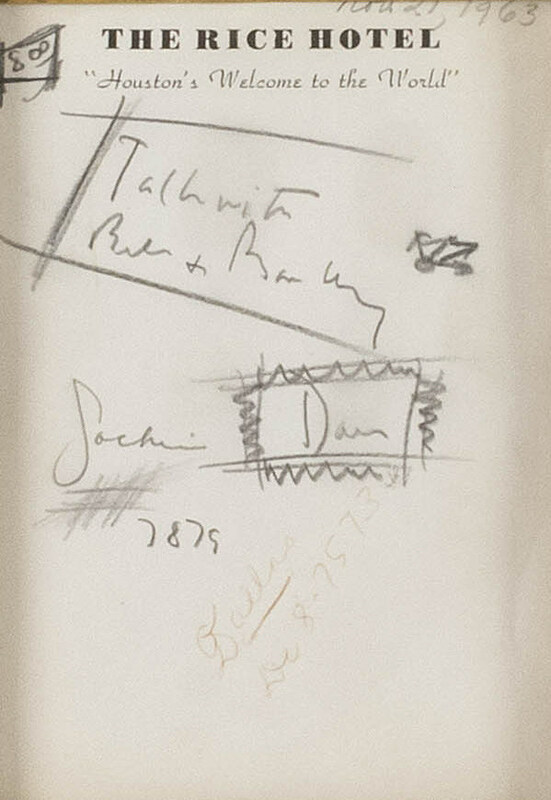 Among the smaller items in the sale include two pages of notes and doodles the president made the night before his assassination, when he stayed at the Rice Hotel in Houston and nine pages of Kennedy’s handwritten notes about Vietnam, Cambodia and Laos while he was still a U.S. Senator in 1953. The first lot of letters, which included words like “plan trip,” “Hotel” and “Jackie” on a hotel notepad, were collected by the president’s secretary, Evelyn Lincoln, who marked them “Nov 21, 1963.” These pages have a pre-sale estimated value of $25,000 to $35,000. 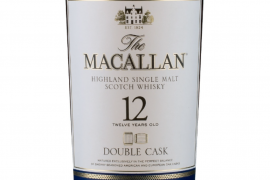 The value of the second lot of letters, written on United States Senate paper, is estimated at $30,000 to $50,000. Other items include Kennedy’s PT-109 tie clip worn the night before the assassination, an ashtray and a letter opener used in the Oval Office, assorted letters and photographs, and two autographed copies of Profiles in Courage, written by Kennedy when he was a Massachusetts senator. 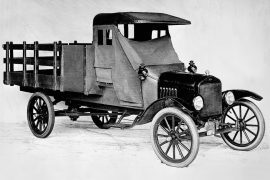 The preview of the sale will be held Tuesday, July 31, from 10 to 5 p.m. at the firm’s headquarters in East Dennis. Catalogs may be purchased by calling 508-385-3116 or viewed online. 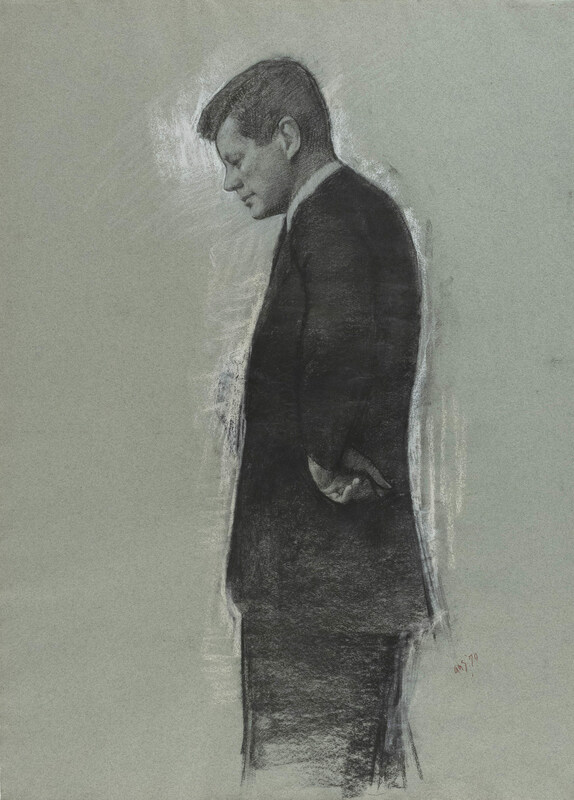 The Kennedy material will be sold Friday, August 3 as part of the firm’s Americana and Paintings Auction, which runs Wednesday, Thursday and Friday, August 1, 2 and 3, 2018. 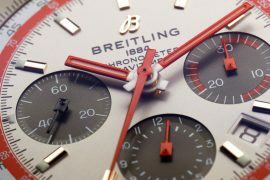 The auction begins at 10 a.m. Eastern on all three sale dates.